Immersion Assistants & Guest Teachers: What Do They Do? Because our kids study math and science in a classroom where only Spanish or Japanese is spoken by the teacher, IAs and guest teachers are critical to our kids' success. But these staff members are not funded by the district -- parents pay for them. Read more information in English, 日本語 or Español, and apply our internship program! Calling all incredible McDonald International families! We need YOU as next year’s Amity intern host families! Have you ever wondered about our Amity interns? For several years the Amity Institute has provided our school with interns who serve as models of language and culture. Our Amity intern program runs solely on the support of the parents and families at McDonald International. Our PTA funds this program, but the most vital contribution you can make to this program is by hosting an intern in your home during the school year. We rely on our host families to make the program run! 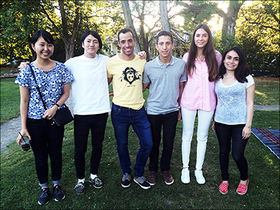 Interns are recent college graduates from Japan or Spanish-speaking countries interested in education . 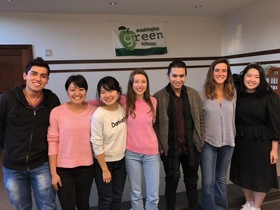 They volunteer for a year to work with our teachers to help reduce class ratios, provide small group learning, and enrich the depth to which Spanish and Japanese are taught. Our ability as a parent organization to provide this direct contribution in the classroom is amazing. Do you know someone in a Spanish-speaking country or Japan interested in applying to the program? They can apply through this website and request to be placed at McDonald International. ¿Qué trae el programa Amity a nuestra comunidad? Nuestros pasantes del programa de Amity es una pieza cultural educativa muy importante que ofrecemos a nuestros estudiantes. Los pasantes traen una riqueza de conocimientos sobre su propia cultura, vida familiar, comida, fiestas, educación y mucho más. Los pasantes del programa de Amity pueden registrarse en el programa tan pronto se gradúen o durante el último año de Universidad. Nuestros pasantes están todos interesados en la educación como su profesión y este programa ayuda a mejorar su confianza, capacitación, su inglés y permite a cada becario la experiencia única de vida familiar en los Estados Unidos. Llegan a finales de agosto y permanecen durante el año escolar. Además de las piezas únicas de la cultura y su idioma, el programa Amity proporciona más oportunidades a nuestros maestros para que ellos lleven a cabo proyectos especiales de trabajo en grupos pequeños, evaluar el progreso de los estudiantes e incrementar la participación de los estudiantes durante las clases. ¿Conoces a alguien en un país de habla hispana interesado en ser un interno de Amity en nuestra escuela? Pueden postularse a través de este sitio web y solicitar su colocación en McDonald International. If you're interested in hosting or you're just exploring the option, contact Erica Lerer our Host Family Coordinator, as soon as possible. You can also download the host family FAQ (on the right under "Downloads"). Application interviews have already begun. You can also sign up to hang with the Immersion Interns! It's easy! Sign up to have dinner or do another activity with one or our fabulous IIs. Contact Erica Lerer. This is a great opportunity for your kids and family to get to know one of our wonderful interns better and learn about their culture and for your kids to practice Spanish or Japanese. It's also a chance for our interns to experience American life, and practice their English. ¿Qué se necesita para ser una familia anfitriona? Familias anfitrionas son la única forma en la que sobrevive este programa. Cada año pedimos a las familias de McDonald International que voluntariamente den su tiempo y espacio durante aproximadamente tres o cinco meses durante el otoño o la primavera. Estas familias son la columna vertebral del programa y no podemos traer más pasantes a nuestra escuela sin estas familias anfitrionas voluntarias. El PTA proporciona un coordinador de las familias anfitrionas para ayudar a encontrar familias anfitrionas y prepararlas para la llegada de nuestros pasantes. Nunca es demasiado temprano para expresar interés en pasar tiempo con uno de los pasantes, o para ser anfitriones el próximo año. ¡No dude en acercarse y participar más en este programa! What is the difference between an Immersion Assistant (IA) and an Intern? Although they have sometimes been called upon to perform similar roles in our classrooms, IAs and IIs bring very different backgrounds and experience. They are also funded and hired differently. They're employed by the Seattle School District to assist the primary teacher. The PTA gives money to the School District to fully cover their salaries and related costs -- this year it's approximately $60,000 per teacher. McDonald teachers and Principal Goldberg all participate in the selection process. These teachers are able to stay with the school long term, strengthening our program and providing stability. They come to us through international programs that give native language speakers the chance to teach abroad. They generally come for just one year and then return to their countries of origin. 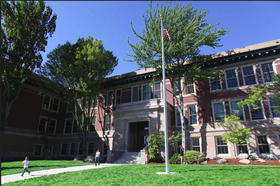 The PTA fully supports this program by paying for the Amity fees, intern stipends, Orca cards, lunch stipends and ESL classes (around $7,000/intern) and provides room and board in the form of home-stays with McDonald families. How was this year’s fundraising goal calculated? 1 Intern in each immersion classroom in grades 2-5 (4 Spanish, 3 Japanese). How will the Immersion Assistant Fund contributions be used? Throughout the year the PTA funds and sponsors a huge number of the programs at our school, including literacy support and math programs in the classrooms,teacher grants to purchase supplemental materials for teaching aides and projects, field trip and after school subsidies for families who need extra help, teacher appreciation, art and music support, and more. All of these programs are funded through the PTA General Fund. The Immersion Support Fund is a separate drive. 100% of the money raised for the Immersion Support Fund goes towards hiring IAs and supporting interns for our language immersion classrooms. While the school district has designated McDonald a language immersion school, we don't receive any ongoing extra funding for our program. Every year, McDonald families will need to come together and support the program by contributing to the Immersion Assistant Fund. PTA volunteers are also hard at work on fundraising programs that would generate dollars not only from parents but also from the broader community. Visit the volunteer section of this website to learn more about how you can help. When, and How Much Should I Give? 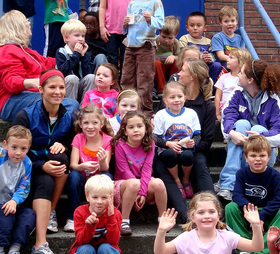 All students are welcome at McDonald regardless financial contribution. Our goal is 100% participation. Let's pull together as a community and give as generously as we can - $50, $100, $1,000 donations and anywhere in between, below, and beyond! Every family's donation is important, and every dollar helps us reach our goal. We hope that 100% of McDonald families will give at some level -- at the level they choose. Please, give as generously as you can. The Instructional Support staff are an investment in our kids’ education that we must make together to keep our program successful. I'm Tomoko Yuki and had worked at McDonald Elementary in 2014-2015. McDonald family, your warm welcome to your community really inspired me that made me think about how to make a comfortable environment for foreigners. Hello! I am the proud principal of McDonald International. At McDonald International we take great pride in the fact that we have an excellent intern program. The interns at McDonald International are each paired with one of our classroom teachers and that teacher serves as mentor for the intern. Throughout the year, the teacher mentor and the intern work collaboratively to build relationships with student and families, develop curriculum, lesson plans, & classroom activities, evaluate student academic progress, and expose students to the culture and traditions of the intern. Additionally, the teacher mentor provides the intern with regular feedback and evaluates the intern’s performance. As part of our intern program, our interns live with host families who help our interns establish social contacts inside and outside of school, as well as providing interns with a taste of the local culture by sharing holiday traditions, including intern in family gatherings and events, and exchanging ideas and perspectives. 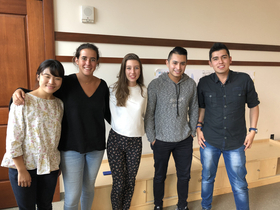 The interns are an integral part of our Japanese and Spanish Immersion program in that they share both their language and culture with our students and families, and we hope you will consider applying to be part of our intern program for this coming year. 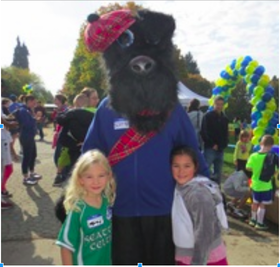 McDonald International is one of the Dual Language Option Schools within Seattle Public Schools. 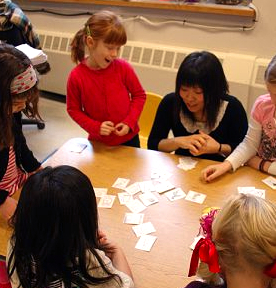 We teach language acquisition through an immersion learning process, whereby students learn Japanese or Spanish through the other core content areas. As an International school we teach students about recognizing different perspectives, challenging stereotypes, and promoting social justice. We pride ourselves in helping each student develop and celebrate their own identity, as they investigate the world. And, we foster academic achievement through integrated, collaborative learning. McDonald International is a K-5 school serving approximately 450 students. About 15% of class are comprised of native speakers of Spanish or Japanese. The rest of the class are the students who started learning Japanese/Spanish in Kindergarten (5 years old). Studying or recent university graduate (Must have graduated within 12 months of starting internship). Between the ages of 20 - 29 years old. 10 month internship in Seattle, WA, U.S.A. (J-1 visa will be provided for Late Aug - Late June). Monthly stipend of $300 ($200 for education and other expenses $100 for meals). Network with similar-age interns from both Japanese & Spanish speaking countries. Our internships are competitive and fill positions as applications are received. We encourage you to submit your materials as soon as possible to be considered for next school year. Submit resume and letter of interest in English to our visa sponsorship partners. Application materials will be reviewed and if qualifications are a match for the school you will be contacted for an interview. Interview with a team of teachers and administrator from the school. Please email the following information to <guestteacheradmin@mcdonaldpta.org> with Subject line: “Intern [school year of interest]" (ex: "Intern 2019-2020"). Which school year are you interested? 2020-2021 school year: 1st deadline: October 1, 2019. 2nd deadline: January 10, 2020. 2021-2022 school year: 1st deadline: October 1, 2020. 2nd deadline: January 10, 2021. * Note: recruitment may close after first priority deadline if all spaces fill. ** If you are interested in a position for 2021-2022 or later, please email w/specific school year. Your flight ticket(s) to Seattle are out-of-pocket. You will cover all additional costs not covered by the monthly stipend. Living accommodations with a host family are covered by the school. クラス(約 20-26名) のうち 約15% が 日本語またはスペイン語を話すことができる Native Speaker ですが、クラスの大半はキンダーガーテン (5歳) ではじめてこれらの言語を習い始めた英語を母国語とする生徒です. Hola! Estoy muy orgullosa de ser la directora de McDonald International Elementary School. En McDonald International nos enorgullece el hecho de que tenemos un excelente programa de pasantías. Los pasantes de McDonald International trabajan con uno de los maestros de aula, y el maestro sirve como mentor para el pasante. A lo largo del año, el maestro mentor y el pasante colaboran para construir relaciones con estudiantes y familias de la comunidad, desarrollar planes de estudios, planes de clase y actividades en el aula, evaluar el progreso académico del alumno y exponer a los alumnos a la cultura y tradiciones del pasante. Además, el mentor proporciona al pasante comentarios frecuentes y evalúa el rendimiento del pasante. Como parte de nuestro programa de pasantía, nuestros pasantes viven con familias anfitrionas que ayudan a nuestros pasantes a establecer contactos sociales dentro y fuera de la escuela, así como proporcionar a los pasantes una muestra de la cultura local compartiendo nuestras tradiciones, incluyendo al pasante en reuniones y eventos familiares, e intercambiando ideas y perspectivas con ellos. Los pasantes son una parte integral de nuestro programa de inmersión en japonés y español, ya que comparten su idioma y cultura con nuestros estudiantes y familias. Esperamos que tú consideres postularte para ser parte de nuestro programa de pasantes para el próximo año. McDonald International es una de las escuelas de opción de idioma dual dentro de las Escuelas Públicas de Seattle. Enseñamos la adquisición del lenguaje a través de un proceso de aprendizaje de inmersión, mediante el cual los estudiantes aprenden japonés o español a través de las otras áreas de contenido básico como matemáticas, ciencias naturales y sociales. Como escuela internacional, enseñamos a los estudiantes a reconocer diferentes perspectivas, desafiar estereotipos y promover la justicia social. Nos enorgullecemos de ayudar a cada estudiante a desarrollar y celebrar su propia identidad, mientras investiga el mundo. Además, fomentamos el rendimiento académico a través del aprendizaje integrado y colaborativo. McDonald International es una escuela K-5 (Kínder a 5to grado) que atiende aproximadamente a 450 alumnos. Alrededor del 15% de la clase está compuesta por alumnos que hablan español o japonés en sus casas. El resto de la clase son los estudiantes que comenzaron a aprender japonés / español en Kínder (a los 5 años). Horario escolar: 8:00 a.m.-2:25 p.m. (Salida temprana el miércoles: 8:00 a.m. a 1:10 p.m.
Estudiante universitario o recién licenciado (Menos de 1 año de haber graduado). Tener entre 20 - 29 años. Prioridad para candidatos con estudios en pedagogía de educación primaria / infantil. Prácticas de 10 meses (visa J-1 desde finales de Agosto hasta finales de junio). Nuestras pasantías son competitivas y llenamos las posiciones a medida que se reciben las solicitudes. Te alentamos a que envíes tu material lo antes posible para ser considerado para el próximo año escolar. Presenta un currículum y una carta de interés en inglés a nuestros socios patrocinadores de visas. Se revisarán los materiales de solicitud y si tus calificaciones son apropiadas para la escuela, te contactaremos para una entrevista. Entrevista con un equipo de profesores y administradores de la escuela. Envía por correo electrónico la siguiente información a <guestteacheradmin@mcdonaldpta.org> con Asunto: "Pasante [año escolar de interés]" (por ejemplo: "Pasante 2019-2020"). ¿En qué año escolar estás interesado en venir? ¿Dónde te enteraste de nuestro programa? * Aviso: Recllutamiento concluirá tras primera prioridad si se cubren todos los puestos. Si te interesa un puesto para 2021-2022 o más tarde, favor de entregar tu solicitud / preguntas especificando el año a través del formulario arriba. 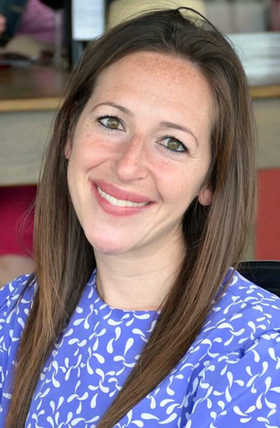 "We're all lucky to have children in a public school immersion program. Let's all do our part to make sure they get the full benefit of this opportunity."